9Health Fairs is Helping Mobile Pantry Guests! Food Bank of the Rockies has partnered with 9HealthFairs at three of our Mobile Pantry locations. Guests can receive a Hemoglobin A1C Diabetes blood screening that measures average blood sugar control for the past 2 to 3 months. The results help indicate a greater risk of diabetes. For people with diabetes, it indicates how well the treatment plan is working. 9HealthFair is also offering vouchers to qualified participants to receive additional blood screening at upcoming fairs. Belmar Groves on 4/12/18 – 9:00 a.m.
Pioneer Village on 4/18/18 – 3:00 p.m.
United Church of Montbello – 4/19/18 9:00 a.m.
It’s time to apply for… Summer Food Service Program! 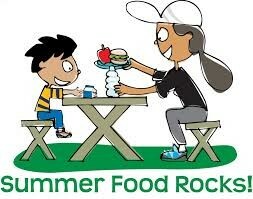 FBR’s Nutrition Network is recruiting sites for 2018 Summer Food Service Program (SFSP). If you’re interested in becoming a site and serving free meals to kids over the summer, fill out the application today!! Distributing TEFAP? Make Sure You Know this Important Info About Your Allocation Sheets! Not sure you can share all the TEFAP you receive? Need more? You have three days after the allocation spreadsheets go out to make any changes (refuses, request for more, etc.) and if you miss those three days, you will be receiving your full allocation for that month. Not receiving your allocation sheet? 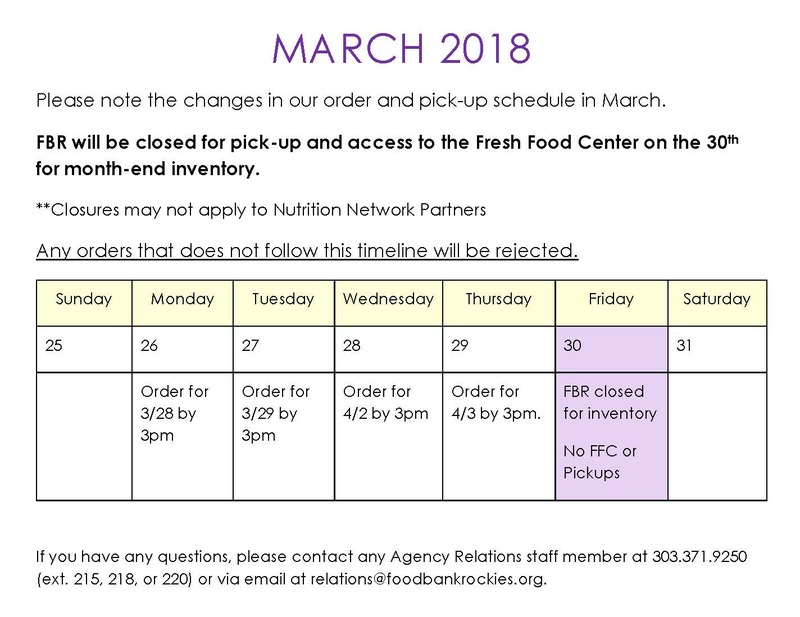 Please email Danny at danielmartinez@foodbankrockies.org and he will add you to his contact list. We want to make sure you have enough food for all of your clients. Can You Ask for Proof of Income or ID from CSFP Participants? Remember CSFP is a self-declared program so you can’t ask for proof of income or ID. The only requirements are that you ask if they are over the age of 60 and they tell you their income along with the number of people in their household. Clients often have special diets and some have very low incomes or additional medical expenses. The food in the CSFP box is preselected and designed to supplement a senior’s diet. The food box may not always meet the needs of some clients. Be sure to refer your clients with special diets or additional needs to nearby food pantries so they can receive the nourishment they require. We are excited to welcome Dominica Gonzales, Agency Relations Representative, and Jackie Martinez, USDA Representative to our food bank team! Originally, from Philadelphia, Dominica has been in Colorado for the last 2 years and previously worked at a non-profit, campaigning for votes on important legislation. She attended Smith College in Northampton, Massachusetts where she majored in economics and Latin American Studies. Dominica comes from a family that has always been heavily involved in the non-profit sector and is passionate about improving the quality of life in our communities. She loves to travel to Puerto Rico and spend time in the mountains and doing outdoor activities. Jackie is a Colorado native and brings experience in the property management and airlines industries to her new role. She wanted to have a positive impact and make a difference, which led her to her new position here at the food bank. Another bonus was the appeal of seeing her brother Adam, who is a great driver for FBR. Jackie spends much of her free time with her family, including staying busy wrangling her 6 and 1-year-old sons. When asked about their favorite aspect of working at the food bank so far, Jackie and Dominica both offered similar answers without hesitation. They have enjoyed meeting all the wonderful people here and have felt very welcome. We’re delighted to have these new additions to our team. Don’t Jeopardize Your Clients’ Health! Grocery rescue sites, remember that food safety is a critical component for all of our partner programs. Following proper protocol ensures our clients are receiving quality, healthy, and safe product. When picking up a product from our Grocery Rescue program, make sure you are keeping accurate temperature logs for transportation. These logs will be checked when an agency representative conducts partner reviews.